APAC donor ribbon at all FAA events and meetings. Contributions to APAC are voluntary and are used for political purposes. Contributions are not deductible as charitable donations for federal income tax purposes. 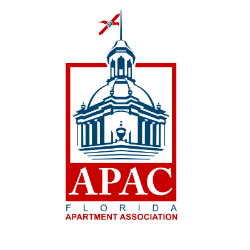 A member is free to contribute more or less than the suggested amount, and may choose not to give without reprisal from the Florida Apartment Association or affiliate associations.